Just quickly, I wanted to let you know this sugar-free concept is already gnawing at me… Today is NOT one of those alcohol-free days I mentioned, so I went to a friend’s house for New Year’s Day drinks which was enormous fun, but have since got home and am desperately craving a sugar fix. Yum…. Sesame Snaps! A treat I always justified because they’re also packed with sesame seeds which are great for you – right? But hang on. Let’s check the sugar content…. Hmmm. SERIOUSLY??? THIRTY-SIX POINT ONE PER CENT???? YEP, 36.1 per cent. DAMN. Can’t do that. I CANNOT break the ONE LINE RULE on day one. Off they go – relegated downstairs to the general pantry. This entry was posted in Opinion by JenniferHansen. Bookmark the permalink. Ah yes, I’ve tried the carb-free diet too, but find it hard to maintain, so hoping this proves more of an on-going lifestyle choice. We will see…!! Hang in there Jennifer. I am so conscience of sugar content and as with u looking for sweet eat after dinner. My tip some nuts – almonds are good. Or I have tried golden berries they are sweet and sour. They sure surpress the urge. Hi Sandra, That’s a good tip – I’ve never tried golden berries? Will try to track some down and let you know if that works for me too. Thanks! 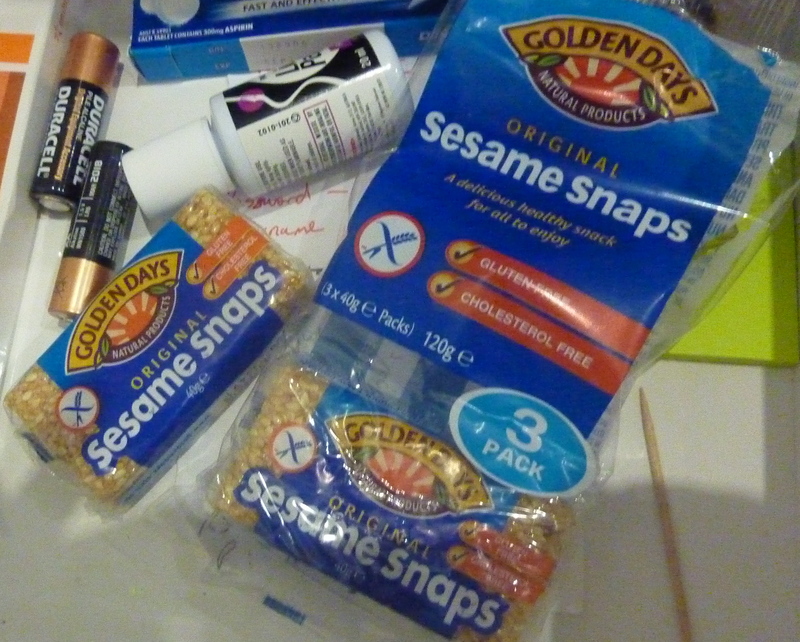 Hmm, now you mention those sesame snaps… they were too sweet even before I knew anything about Sweet Poison! Yep, movies are great for distraction from all sorts of pesty feelings. Keep going! would love to drink whole milk, unfortunately, i can’t digest it and haven’t been able to for over 30 years. I don’t drink skim for the calories, I drink it as it’s the only one I can. Wow – thanks so much – I never knew that about milk! It’s the one product I would never have suspected to contain such a high percentage! I’ll definitely include that info in my next blog… They’re the tips that are worth taking on board — thanks again.